In recent years intense interest has been focused on the use of intravascular ultrasound, which can significantly extend our understanding of the arterial architecture affected by atherosclerosis. Similarly, in relation to interventional procedures such as balloon angioplasty, intravascular ultrasound may provide unique morphologic information; such detailed information may not be obtainable from the angiographic records. 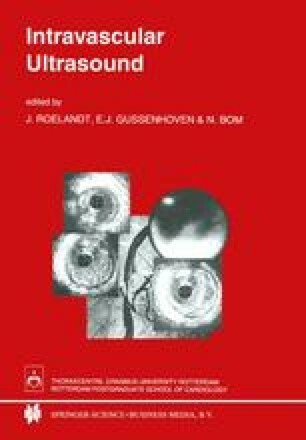 The purpose of this chapter is to outline the similarities and differences between coronary and iliofemoral arteries known from an anatomic viewpoint and from experience with in vitro and in vivo studies using intravascular ultrasound.